英文摘要：Taking an ultra-slendertrimaran as an example, it's motion and load response in irregular wave has been computed. The results show that the side hulls with light displacement slightly affect the distribution of the vertical bending moment and shear forceas the center of gravity for the trimaran shifts aftwards slightly. The results also indicate that the trimaran can be considered as a beam simply supported at both ends along the ship breadth. The transverse bending moment can be estimated to assess the connection structure of the mail hull and side hull. Different speeds result in different draughts. The calculation demonstrates that the speed of 29 kn is the best for the specific ship. DOCTORSLJ. Some hydrodynamic aspects of catamarans[J]. Transationsof Mechanical Engineering, 1991, 16(4):295-302. 许婷, 齐鸣. 三体战舰在英国下水[N]. 环球时报, 2000-06-30(4). 张亚萍, 译. 三体船-解决稳性问题的新颖设计方案[J]. 国外舰船工程, 2000(7). ACKERS B B, MICHAEL T J, TREDENNICK O W, et al. An investigation of the resistance characteristics of powered trimaran side-hull configuration[J]. Transactions-society of Naval Architects and Marine Engineers, 1997, 105:349-373. 李培勇, 裘泳铭, 顾敏童, 等. 三体船阻力模型试验[J]. 中国造船, 2002, 43(4):6-12. LI Peiyong, QIU Yong-ming, GU Min-tong, et al. Experimental investigation on resistance of trimaran[J]. 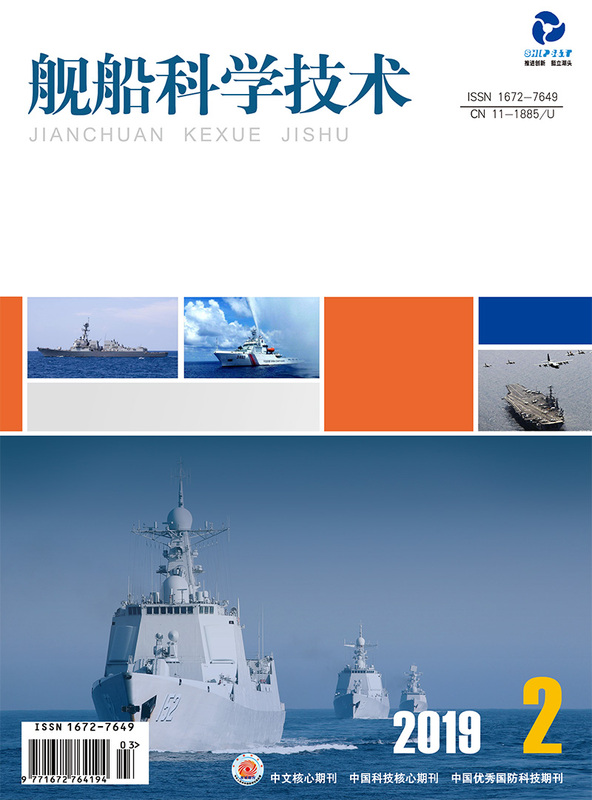 Shipbuilding of China, 2002, 43(4):6-12. 戴仰山, 沈进威, 宋竞正. 船舶波浪载荷[M]. 北京:国防工业出版社, 2007.